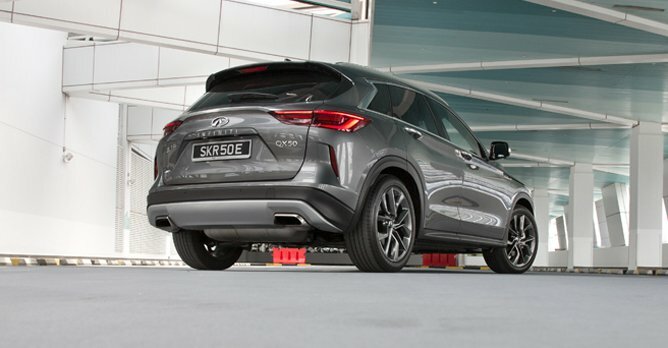 With its creased sheet metal, purposeful stance and bold front fascia, the Infiniti QX50 that you see here is an eye-catching SUV that goes against the likes of the Audi Q5, the BMW X3 and the Lexus NX. But it's more than just a pretty face. Residing underneath its new clamshell hood design is a new 2.0-litre variable compression turbocharged engine that changes its compression ratio to maximise power and efficiency. During our time with the QX50, we managed 8.2km/L - far from the stated 12km/L - albeit with a very heavy right foot. So while the fuel economy doesn't quite match up to what the spec sheet suggests, the new engine lives up to its promise on maximising power, which is something we thoroughly enjoyed. You do feel the potent punch coming from the 268bhp and the strong pull from the 380Nm of torque. These figures are futher amplified when you put your foot down along empty stretches of roads. Driven thus, body motions are tight and it will obediently go to wherever you point it to. This makes darting in and out of traffic a breeze, even if there's a hint of turbo lag and a some slight hesitation from the CVT gearbox. That said, because of the transmission, it feels a lot easier and smoother to manoeuvre the 1.9-tonne SUV around heavier traffic. Just as smooth as the car's manoeuvrability is the materials used on the inside. Our test car came with a nice palatable flavour of style, with microsuede trim on the door panels and centre console while supple leather and wood accents fill the cabin. 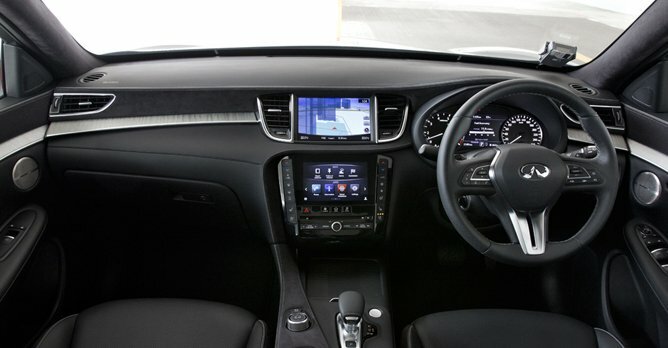 Taking centre stage are two touchscreens - the upper display is for the navigation system and the one below showcases the usual functionalities such as apps, audio and climate controls, Bluetooth, etc. Mind you, while it sounds insignificant, all these add up to remind you this isn't just another typical Japanese SUV you're piloting. 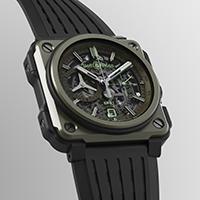 Rather, it's something that's luxurious enough to go against the usual German suspects. It's also spacious enough fight a case with its peers. 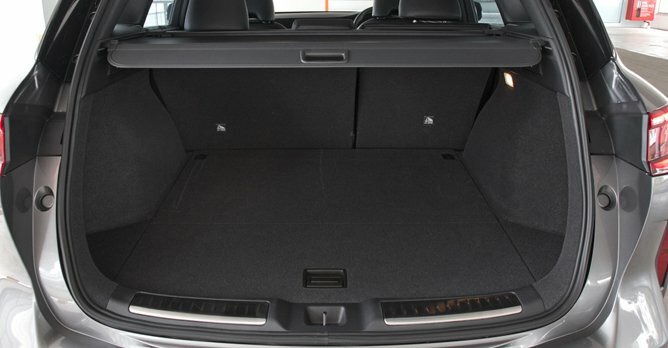 The Infiniti QX50 boasts a whopping boot space of 881 litres. To put this figure into perspective, the Q5 and X3 have 550 litres of luggage space each while the NX will swallow just 500 litres. Even the Jaguar F-PACE loses out with its already generous 650 litres of luggage-hauling capacity. 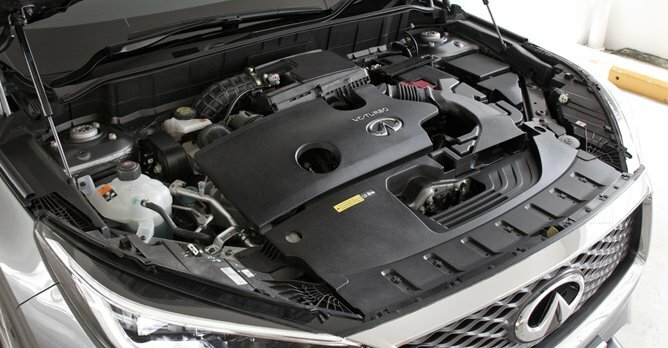 There is no doubting the Infinti QX50's price tag of $212,800 (as of 24 January 2019) and, thus, no avoiding the fact that it's currently one of the most affordable premium mid-sized SUV in the market right now. Of course, there is the argument that Infiniti, as a car brand, isn't as recognised as the usual suspects but it's also this very reason that buys you exclusivity. And there's nothing more desirable than that.